Visit the largest alien and ufo news website webelieveinaliens. Was Joseph Smith Led by Alien Influence? Was Joseph Smith Led by Alien Influence? Do you know who was Joseph Smith? He was a normal guy who was living his life in a simple manner until he started to have strange visions. He is also known as the author of Book of Mormon. He is worshipped like a God by the Mormon followers. More than 14 million Mormon followers are present today. According to the Book of Mormon, Joseph Smith saw Jesus Christ and Moroni (angel) in his several visions. Modern day ancient astronaut theorists believe that Joseph Smith was visited by aliens rather than Moroni or Jesus Christ. Plenty of evidences are present to support this theory. It might be hard to believe the other side of story but what you need to understand is that one must be completely irrational when it comes to exploring the truth. The Book of Mormon mentions that Joseph Smith met Moroni an angel in his first vision after he prayed to God before going to sleep. 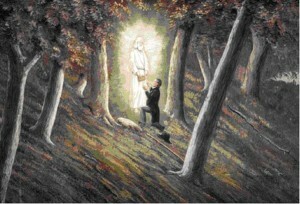 Do you know that Joseph Smith was visited by Jesus Christ in other visions? Yes that’s right, Joseph Smith received instructions from Jesus Christ as mentioned in Book of Mormon. In another vision, Smith received few gold plates from Moroni. Do you know that Mormons explored the cave in Ecuador while looking for ancient gold plates? The evidence of a library containing thousands of gold plates in the cave of Ecuador has been found by researchers. These gold plates had important ancient texts written over them. Is it possible that Moroni gave him those gold plates which have not been found yet? The interesting part is that Smith was able to translate some of the text he saw on the gold plates. What was the translation of these texts? The translation of these gold plates cannot be found within the Book of Mormon. Do you know why? Smith mentioned the translation in The Book of Mormon’s first draft. The official version was presented after 8 years from the time Smith had written first draft. Why did it take 8 years to present the official version when smith had already written first draft? Some sort of evil plan might have been going on which is why the crucial information was removed from the official version. Do you know that Joseph Smith received instructions from Jesus Christ that he should not join any Church? If that is the case then why did Joseph Smith applied for membership in his wife’s Church? In his first draft, Smith mentioned that he saw God in a vision. There is nothing mentioned regarding this event in the official version. Is it possible that he saw alien in his vision? Was Moroni an alien? It is possible because modern day ancient alien theorists have been able to find out that mining in the cave was performed by extraterrestrials that created a complete library containing thousands of gold plates and gold books. The difference in first draft and official version is present due to some obvious hidden truth. It seems like Joseph Smith was led by aliens rather than spiritual God or angels. Betty And Barney Hill Abduction Betty and Barney Hill were an American couple who claimed to have been abducted by extraterrestrials in a rural portion of New Hampshire on September 19–20, 1961. The couple’s story, called the Hill Abduction, and occasionally the .